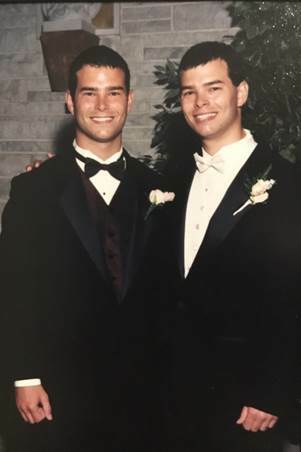 When I was sixteen years old, I met my first set of identical twin brothers. I had a friend who was madly in love with one of them, so the twins started hanging out with our group of friends. These two looked so much alike, the only way I could tell them apart when we passed in the halls was by looking at their feet. One wore red Adidas and the other wore blue. I would do a quick shoe check and then greet them warmly by name. I didn’t even realize what a big deal it was that I did that but learned later that twins appreciate being known as their own person. It wasn’t long before I fell in love with the twin wearing the blue shoes. He was cute, funny and had a job (which made me think he was so responsible). That was when my real education about twins began. That twin became my boyfriend and, seven years later, my husband. We have been married for over twenty years and I feel like a twin expert now. 1. Identical twins think it’s hilarious when they can trick people into mixing them up, but they hate it when you mix them up on your own. My husband loves telling the story about the time he and his brother switched classes in elementary school to see if their teachers would notice. It still makes them laugh, knowing they pulled it off and both teachers were tricked for a couple of hours. At the same time, my husband still holds a grudge against extended family members who call him by the wrong name. And he’s not fooled into believing people know who they’re talking to when they simply refer to him as one of the twins. That’s a clear sign they have no idea which one he is! 2. Twins will hate each other one second and love each other the next. Don’t get too worried when they fight. Twins fight. A lot. But they also forgive really quickly. I have learned my lesson not to express my empathetic anger at my husband’s twin. He could have spent the last hour telling me all the things that annoy him about his brother, but as soon as I agree with him about how obnoxious his twin is, he is loyally defending his brother to no end. I know now to let him vent. He’ll be over it before I even have time to chime in. 3. Twins get tired of sharing their birthday. This is my husband’s biggest gripe. It doesn’t help that my younger brother has the same birthday. He went from sharing with his brother to sharing with my brother, too! 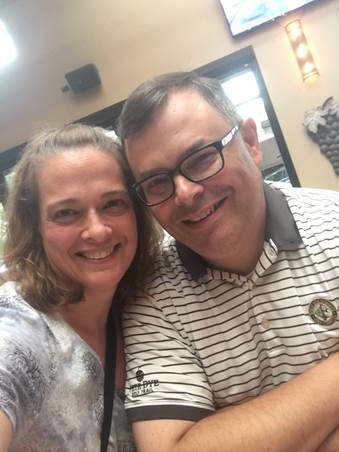 I had no idea it was a big deal for him until he told me a few years into our marriage that he couldn’t remember the last time he had a birthday cake that only said, “Happy Birthday, Jerry!” on it. I had always figured twins were used to sharing. I have made an effort to make him cakes with only his name on it ever since. We don’t have twins but our sons were born on the same day four years apart, and, because of what my husband said, I’ve made an effort to always give the boys their own birthday celebration. We all want to feel special one day out of the year, right? Twins, identical or fraternal, are wonderfully complex characters in real life and on the page. 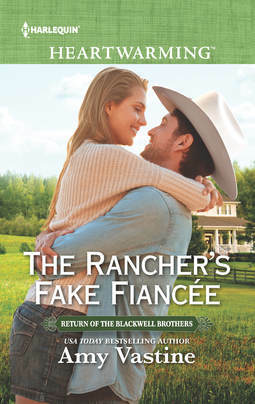 My hero in The Rancher’s Fake Fiancée is a fraternal twin. Tyler and his brother may be estranged, but there is a bond between them that is just a bit stronger because they are twins. Tyler always replies to Chance’s texts or emails, when his other brothers’ might go ignored. 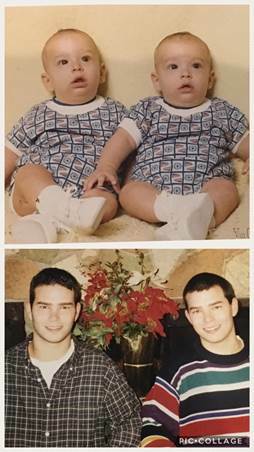 Tyler also knows that the best way to tease one of his older identical twin brothers is to make fun of the fact that they look alike. He also feels a special connection with his twin nieces. He knows how important it is to see them as individuals and not as a package deal. No matter how much alike twins are, they are not the same person. I think we worked very hard to make each of the heroes in the Blackwell series his own man. I hope readers will agree. Tyler Blackwell just announced that he and Hadley Sullivan are getting married. And they’ve never even dated! Now she and her boss are in Montana so Tyler can sell his family ranch. Hadley only agreed to continue the deception in exchange for a promotion. But moving up the corporate ladder pales beside her growing feelings for Tyler. Will his past and Blackwell family secrets sabotage what Hadley wants more than anything—a real wedding? What Makes A Couple The Perfect Fit? Love this post, Amy!! And I’ve loved writing about twin brothers with you. No wonder you had all the answers, lol. 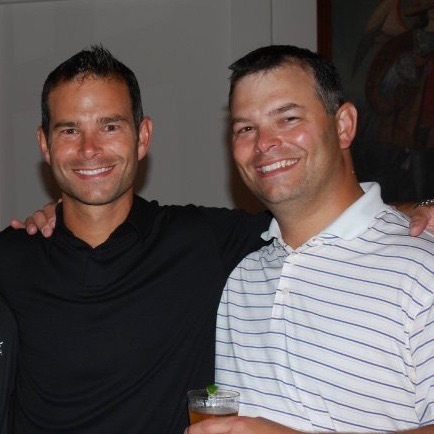 Here’s to the Blackwell Brothers! I LOVED Tyler’s story. Actually, I am loving the entire series about the Blackwell brothers. The authors did a great job with each story. Thanks for the info about twins! I’m kind of biased, but it is a great romance. Love these characters and didn’t want to leave them at the end. As an editor, for me, it means the book’s a sure winner! Thank you Amy Love The BLACKWELL BROTHERS SERIES You and all The Other Authors have Done a Great job on theses Books! *Harlequin Enterprises Limited (Harlequin.com) is located at Bay Adelaide Centre, East Tower, 22 Adelaide Street West, 41st Floor, Toronto, Ontario, Canada M5H 4E3 and sends informational and promotional emails on behalf of itself and Harlequin Digital Sales Corporation. Subscribers can unsubscribe at any time.. Feeling Lucky? Enter These Goodreads Giveaways! LOVE ROYAL BABY STORIES? YOU’LL ENJOY THESE 6 BOOKS! Giveaway! Preorder The Summer of Sunshine and Margot to Win A Painting Signed by Susan Mallery! Copyright © 20002019 Harlequin Enterprises Limited. All Rights Reserved. * Harlequin Enterprises Limited is located at Bay Adelaide Centre, East Tower, 22 Adelaide Street West, 41st Floor, Toronto, Ontario, Canada M5H 4E3 and sends promotional emails on behalf of itself and Harlequin Digital Sales Corporation. Subscribers can unsubscribe at any time. Sign Up for Harlequin News & Save 20% on Your Next Order! 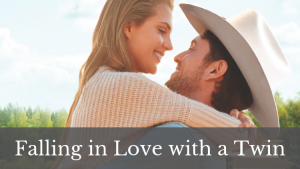 Sign up to receive newsletters, special offers and other promotional emails from Harlequin* and get all the Romance news you crave. Plus, you'll get an exclusive coupon to save 20% on your next purchase.